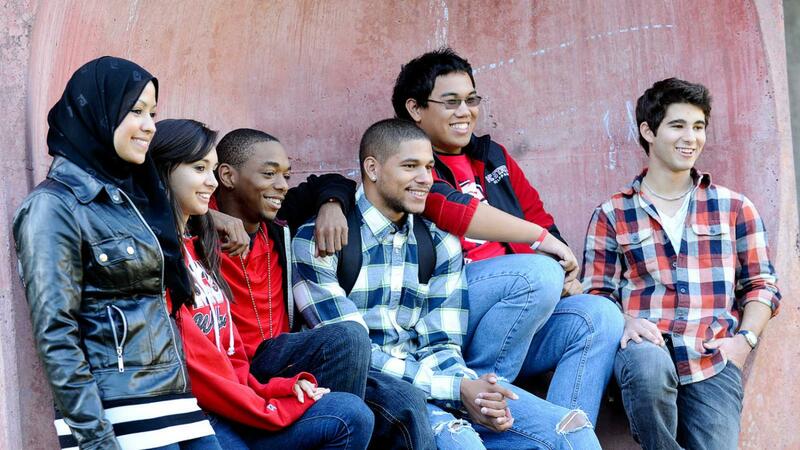 The college is dedicated to diversity – attracting, recruiting and retaining a varied student and faculty base and promoting diversity and connection between groups, across cultures and within all the communities we serve. We champion diversity through scholarship, community and stewardship. We want all our students to see themselves here and to find a home where they can flourish and make a difference. We're preparing the next generation of world-changers to not only think and do, but to face the challenges of a national and global workforce. We welcome all backgrounds, including ethnicity, culture, race, gender, class, religion, nationality, sexual orientation, age, physical ability, learning styles and political perspectives. We value and celebrate diversity. We're committed to enhancing a climate within our college that actively embraces diversity — in our recruitment of students, faculty and staff, and as we support people once they're here. New research from NC State Professor of Psychology Elan Hope (pictured left) and colleagues at Palo Alto University finds that young black men who are most likely to be victims or perpetrators of violence are also those who feel that they have the least power to effect social change – highlighting the importance of ensuring that young black men do not feel alienated by society and social programs. If current trends aren’t soon reversed, the Cherokee language will soon become extinct. Our NC Language and Life Project has produced a film documenting the tribe’s efforts and sounding a call to save the language. Professor Blair Kelley is working to increase participation in study abroad among African Americans, Native Americans and other underrepresented groups. She’s running a pilot program that includes travel scholar grants for atypical study abroad candidates. Kelley’s Think and Do approach to applied research in this area is helping to ensure all students gain access to rich, cross-cultural experiences. Gentry Smith's (Political Science ‘83) exemplary foreign service career has earned him ambassadorial rank as Director of the Office of Foreign Missions for the State Department’s Bureau of Diplomatic Security. Along the way, he’s also had a great view of the world's stage. How can we teach effectively about diversity? What are the implications for our students, our staff and our communities? This series brings together faculty from departments and disciplines in the college and shares best practices. We invite nationally-known leaders in higher education to complement and extend our conversations about diversity beyond the classroom. This groundbreaking series enables our faculty to integrate diversity in all we do. There are many ways to understand and experience life in the College of Humanities and Social Sciences; our diverse student body and faculty play significant roles in shaping our understandings and experiences. Meet alumna Stephanie Cogdell (Psychology ’92), senior global human resources manager for Intrahealth International. At Intrahealth, Cogdell leads the company’s human resources information systems, and as such, is critical to the work of an NGO that employs and supports healthcare workers in developing countries around the world. Each department in our college has created and maintains a diversity recruitment and retention plan for faculty of color. Annual reports highlight their efforts and achievements. We offer a program designed specifically to recruit high achieving, under-represented students into pursuing undergraduate and graduate education. We meet with every hiring committee before it starts a faculty search to ensure we reach out to diverse candidates. While individuals and disciplines may look at the same issues and come to markedly different conclusions, we share common values of intellectual rigor, curiosity and interest in understanding new and different perspectives and people. To learn about scholarship opportunities, visit the Multicultural Student Affairs page. To get involved in clubs and organizations, visit our Student Organizations page. To explore your opportunities for study area options, visit our Academics page. NC State is addressing the Raleigh community's need for Spanish translators while giving students plenty of practice with their Spanish skills and exposure to our city's Hispanic culture. Rubik's Cube: Easier than English? Zeli "Jeff" Qian is a cubist — as in Rubik's Cube. Qian, a native of Zhejiang Province in southeast China, can align all the colors in the cube-shaped puzzle in 18.27 seconds, a time that's listed in the World Cube Association's record books. NC State recently celebrated an exceptionally generous $8.1 million gift to endow the Moise A. Khayrallah Center for Lebanese Diaspora Studies in the College of Humanities and Social Sciences. Representing the largest single gift in the history of the college, the Khayrallahs are creating the first privately endowed center at NC State, and the world’s first center on Lebanese culture and history outside of Lebanon. Our office fosters an inclusive, accessible and diverse intellectual and cultural campus experience at NC State. We encompass the areas of equal opportunity, equity, diversity and inclusion and work closely with the African American Cultural Center, the Gay, Lesbian, Bisexual and Transgender (GLBT) Center, Multicultural Student Affairs and the Women’s Center.